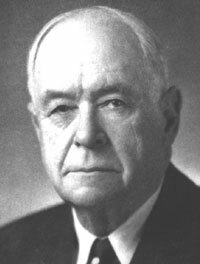 Ralph Tyler Flewelling (1871-1960), leader of the Californian School of American personalism, founder of the international quarterly “The Personalist” (Los Angeles, 1920-1979). Ralph was born on November 23, 1871 in DeWitt, MI, he died on March 31, 1960 in Glendale, CA. Together with E.S. Brightman, leader of the Bostonian School, Ralph Tyler Flewelling belongs to the second generation of American personalists. He wrote 15 books, about 500 articles and 1,500 reviews. Among his most prominent works are: Creative Personality (New York 1926); Reflections on the Basic Ideas of East and West (Peiping 1935); The Person; or The Significance of Man (Los Angeles 1952). “Recently, marked with Personalism, an underground resistance movement against both fascism and communism emerged in Russia, Poland, Holland, France, Italy and partly in England” (Personalism 1955). An account of personalism might properly begin at almost any point in the history of philosophy. To read entire text you have to order printed version: http://www.personalizm.pl/ksiegarnia/.